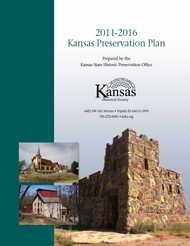 Established in 1970 the Kansas Historic Sites Board of Review meets quarterly to consider applications for grant funding and nominations to the National Register of Historic Places and the Register of Historic Kansas Places. The public is welcome to attend these meetings. For additional information, please contact the Cultural Resources Division at 785-272-8681, ext. 240. Past meeting agendas and minutes are available here.